The 2019 rates for residential halls have been released, including for yet-to-be-opened new Bruce, new Fenner, and Wright Hall. Returner applications also opened yesterday, under a new system that combines the re-admission process with the procedure to transfer to a different residence. This is the first time that information on the rates for the new halls has been publically available. There is no information on what prices at SA5 will be once Bruce moves to its new home, and indeed no information on its name. Soon-to-be-Fenner is still listed as SA7 on the ANU website, despite Fenner residents being told that the Hall would be moving there, and Vice Chancellor Brian Schmidt himself confirming the move at the most recent ‘Pizza with Brian’ event. ANU did not answer questions posed on these issues, only saying it “will provide more information about the new halls soon”. However, Fenner Hall Residents’ Committee President Tomas Dodds and Bruce CRC President Max Moffat reported being content with ANU’s communication with Fenner and Bruce residents respectively. “I think a lot has been done to make sure Bruce residents know about the transition process next year,” Moffat said. Wright Hall will cost “from $400.00 per week”. The Hall will be “flexi-catered”, and Observer has received reports that 16 meals per week will be included in the tariff. However, no confirmation of this is available on the Wright Hall website. A room at Bruce Hall will begin at $423 per week for new residents, with 21 meals included. This represents a 5.3% increase on the current new resident rate. Returning residents will have a subsidised rate of $412 per week. This represents a small increase in costs for those who joined Bruce in 2017 or 2018, but an almost 9% increase for people who have been living at Bruce since 2016 and had been receiving a subsidised rate at SA5. Moffat told Observer that subsidising returning residents “has been very beneficial for the community”. However, he expressed concern about the “fairly large jumps” in price for new residents. 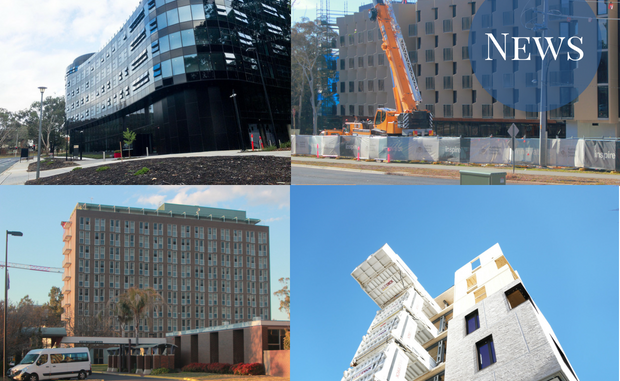 “I think it’s reasonable to expect that prices will rise as ANU spends a lot of money constructing new residences, but…every time prices go up, it becomes increasingly difficult for students to financially support themselves while studying,” he said. The re-admission and transfer system has been overhauled,and will now be conducted entirely online .The new system combines the two processes, which used to be done via separate applications. “The returner/transfer application will allow you to express your interest in moving across to these new locations, request to return to your current residence or transfer somewhere else,” students have been told. As well as combining the two forms, this is the first time that all halls of residence – including UniLodge – have used the same system for re-admissions. In 2017, some Bruce and UniLodge residents complained that their applications had been unfairly rejected. UniLodge has increased occupancy fees across all buildings by around 4%. The standard Ursula Hall catered room will cost 2.8% more at $396.70 per week. A Burton and Garran Hall room will increase in price by about 3.2% to $227.45. John XXIII College residents have not yet been informed of next year’s rates. Applications for transfers and re-admissions have now opened, and will close on 13 September. Applications for new residents have also opened recently, and will close on 19 December. Jessica Whiting contributed to reporting. She was a Residential Adviser at UniLodge in 2017. Eliza Croft lived at Ursula Hall 2015-2016. Photo credit: Konstantinos Katsanis and Observer stock.